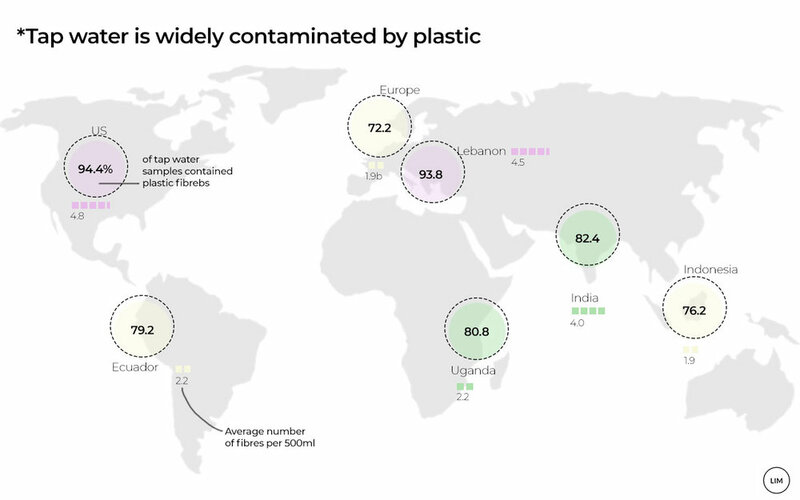 Plastics, specifically micro-plastics, can be likened to a planetary disease, as they continue to spread to every nook and cranny of the globe. Even with our measurement tools, the diagnosis is uncertain as to how it will affect the planet and the human race. Research shows that plastic is infiltrating our lives. In August 2016, a study by Plymouth University found that “plastic was found in a third of UK-caught fish, including cod, haddock, mackerel and shellfish” (Guardian,2017). Not only is it in our food systems but also our water systems, with a recent study finding that in Europe 72.2% of tap water contained plastic fibres, with an average of 1.9 fibres per 500ml (Guardian, 2017). To me, this plastic issue echoes the sentiment of Rachel Carson’s ‘Silent Spring’. Written in the 1960’s, her book, documented the adverse effects of pesticides and their unintended impact on soil, waterways, animals and subsequently, humans. Of course there is a difference between pesticides and plastics. The former is purposefully designed to damage/kill animals, whereas the latter, for the most part, is not. Despite this, plastic is now a prominent feature in our ecosystem, with an estimated 800 million tonnes of plastic pollution entering the ocean each year (National Geographic, 2015). At this time, we cannot overstate the risks of plastic to our health before they are fully understood, but there is already an understanding of the impact on the health of the marine ecosystem. This can certainly have a knock on effect, with over three billion people depending on marine and coastal biodiversity for their livelihoods (UN, 2018). It is clear that we have to act to mitigate the damage we are having on the oceans and the ecosystem it supports. We have a direct dependence on the ocean and we must take responsibility and look after it; even if one was to only look at it from the most selfish perspective, for our own wellbeing. We are failing in our stewardship of this planet. This is not the most important issue we face, but we all need to understand plastics better, reduce the amount in our lives and our overall consumption. We cannot wait to find out whether there are more detrimental impacts of plastic. If you want to learn more about plastics, particularly how and why they affect us follow the @lowimpactmovement on Instagram and the #plastix campaign which for the next month is providing the most up to date information about this issue. For a year Kieran has been using Instagram as a platform to reach people and talk to them about sustainability topics and low impact living. At the moment, Kieran is interested in raising awareness and educating people on the impacts we have on the planet, both positive and negative.